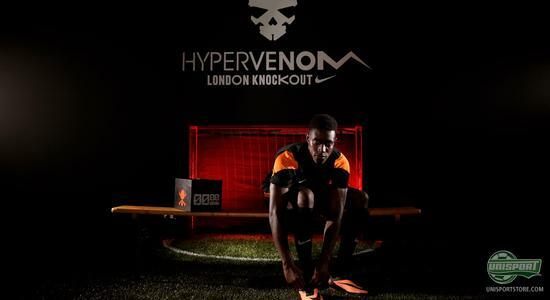 The new Nike Hypervenom has gotten off to a flying start in the Premier League and in London that was celebrated with a special event, where Daniel Sturridge, Danny Welbeck and Christian Benteke were in attendance. 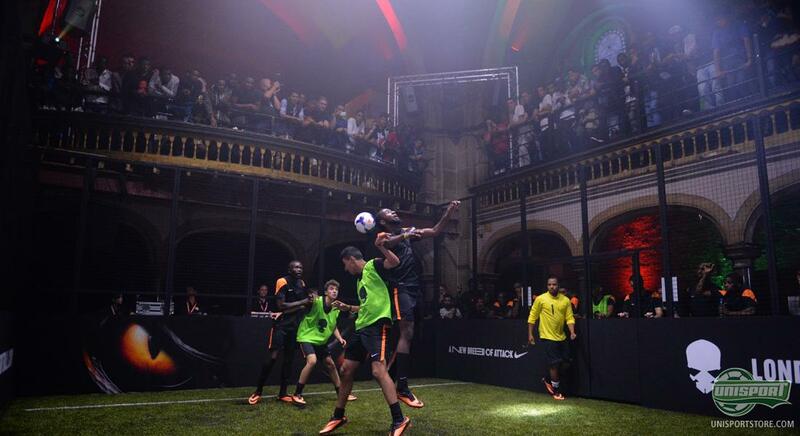 They joined the competition, to see who was the most lethal striker, as they competed with 200 other young people. 1, 2, 3, 4, 5, 6 and 7. That is how many goals the Nike Hypervenom has made on the feet of the sharp young strikers Christian Benteke from Aston Villa, Liverpool's Daniel Sturridge and Danny Welbeck from Manchester United. The new unpredictable boot has proven to be lethal in front of goal and with a tally of seven from the trio, this early in the season, the boot deserved to be celebrated at the event in London. Here 200 young men showed up and the goal was to find the deadliest striker in attendance. One thing they all had in common was, apart from all wearing the new Nike Hypervenom, they all knew how to find the back of the net. 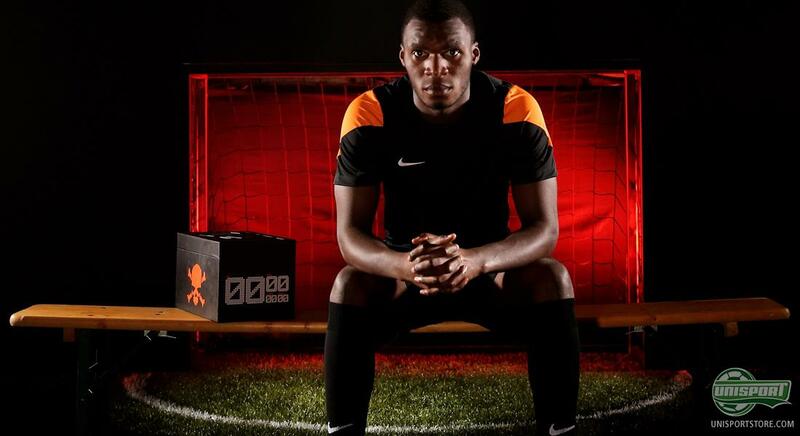 Whether they had learned it from watching Christian Benteke, Danny Welbeck and Daniel Sturridge is unknown, but the three Premier League profiles have definitely provided plenty to strive for. The new Nike Hypervenom is one of the summers biggest newcomers and we have on several occasions almost fallen off our seats with amazement at it. Our Finish boot expert Joltter was in his video very pleased with the boot and the enthusiasm was not been any smaller around the office, when the boot was unboxed. One of the things that has caused the most furor is the very cool NikeSKIN material, which makes up the boots upper. It expands to accommodate the foots shape and ensures you get a very tight and personal fit, as well as a good grip on the ball. At the same time the boot is also made with Nike's ACC-technology, which is made to give the boot a good grip on the ball, even in wet weather conditions. In Barcelona the weather is almost always good, but here we have already seen Neymar use the Nike Hypervenom to great effect. The Hypervenom hype has also spread to Paris, where Zlatan Ibrahimovic spellbinds defenders with his Hypervenom Phantoms. 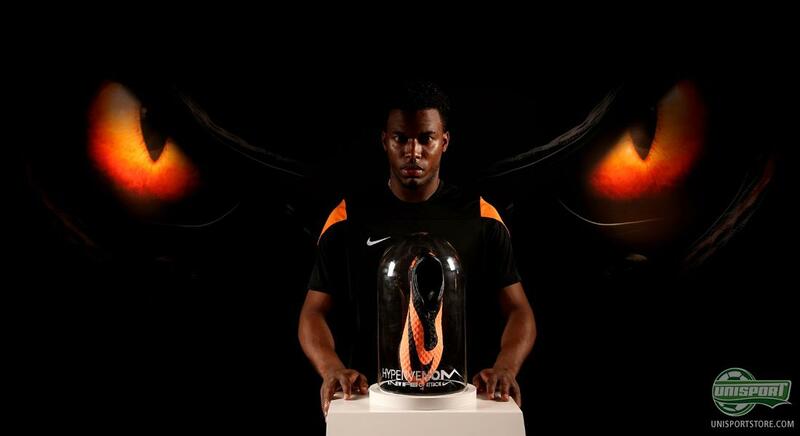 We have also seen plenty of other players wearing the boot, with Wesley Sneijder doing well in Turkey and Rooney in the Premier League too. We will be the first to admit that we have spent a long time admiring the new Nike Hypervenom Phantom and if you would like to get closer to the new, unpredictable and lethal boot, then we suggest checking out our campaign-site, which gets you up and close to the new boot. Just click the banner below to go straight to it. Nike Hypervenom Phantom is without a doubt one of this summers biggest launches and it has been a big influence this summer. 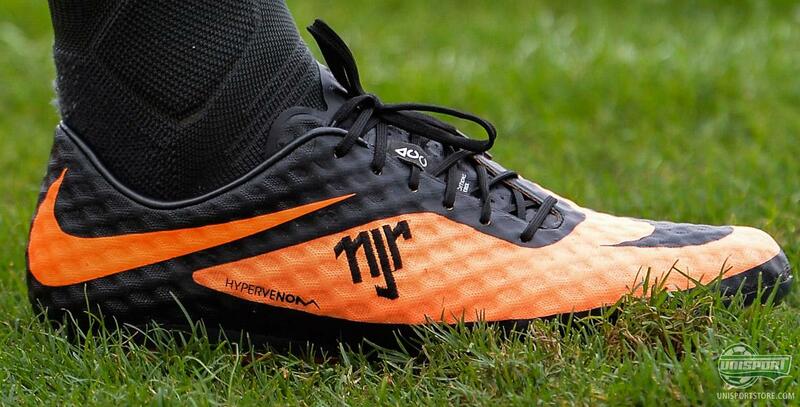 What do you think about the Hypervenom? And will you be wearing the boot this coming season? As always feel free to write to us in the comment-section down below, or on Facebook and Twitter.